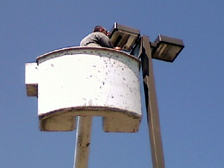 Rely on Absolute Lighting Maintenance LLC for parking lot light maintenance in and around Columbus Ohio. 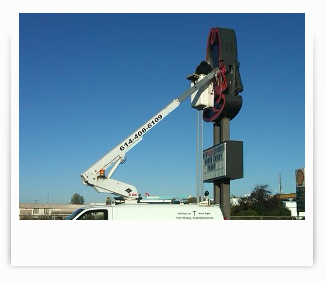 Maintenance contracts are available for commercial and industrial businesses in the Columbus and surrounding area, including manufacturing plants, fast food restaurants, and grocers. We even offer lightbulbs at wholesale prices! 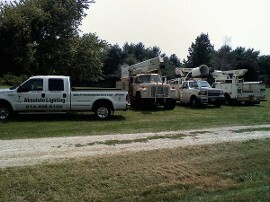 Contact our lighting company in Baltimore, Ohio, (just 15 minutes east of Columbus) for parking lot light maintenance and lightbulbs at wholesale prices. 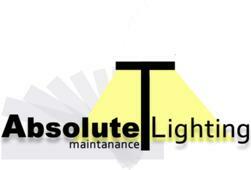 Absolute Lighting Maintenance has a complete selection of metal halide bulbs in all sizes and wattages always in stock at our Columbus Ohio warehouse. You won't beat our prices on Metal Halide bulbs! We also offer compact fluorescent lightbulbs of all styles—contact us for details.